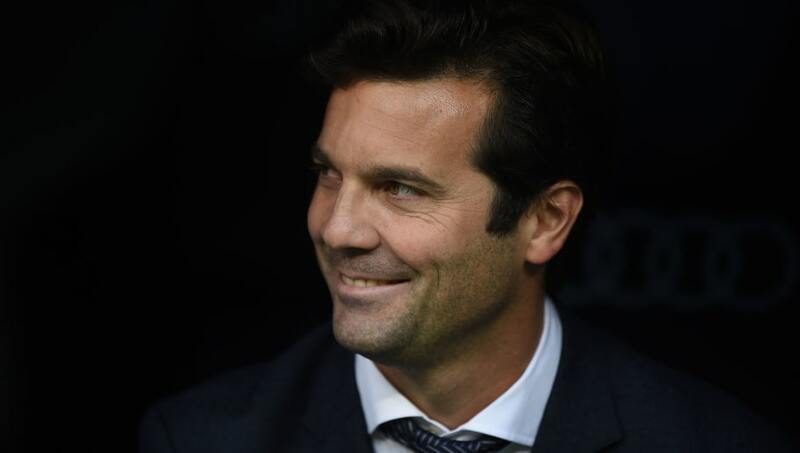 ​Real Madrid have confirmed the appointment of Santiago Solari as permanent first team coach, with a contract running until 30 June 2021. Santiago Solari was promoted from manager of Real Madrid's Castilla side after Julen Lopetegui was dismissed last month. The Argentine, who won two La Liga titles and the 2002 Champions League as a player with Los Blancos, has won all four of his fixtures as manager since taking over as interim boss on 29 October. ​​With Spanish league rules dictating that a coach may only take charge of a club on an interim basis for a maximum of two weeks, Real Madrid confirmed the expected permanent appointment of Solari with a short statement on their official website on Tuesday evening. It reads: "The Board of Directors of Real Madrid CF, meeting today November 13, 2018, has agreed to the appointment of Santiago Solari as coach of the first team until June 30, 2021." Solari, who also featured for Atletico Madrid during his playing career, was initially thought to be only a stop-gap solution following Lopetegui's departure, with Real Madrid expected to seek a more experienced long-term hire. However, after Antonio Conte ruled himself out of the running, Solari guided Real to four consecutive victories in three different competitions. The first game of Solari's reign saw Los Blancos hammer lower league Melilla in the Copa del Rey, with further victories against Real Valladolid and Viktoria Plzen. In his final game as interim coach over the weekend before the international break, Solari saw Real win 4-2 against Celta Vigo.